Easy to mount with double flange. 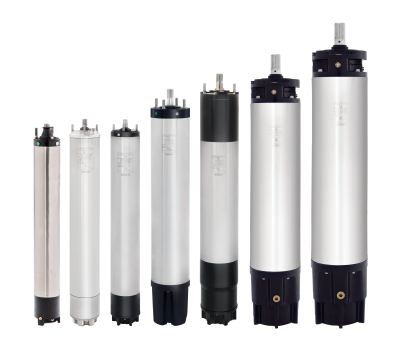 We manufacture a wide range of submersible motors of various sizes starting from 100 mm. We have uniquely positioned ourselves as one of the principal suppliers of submersible motors in India and abroad. Shakti submersible motors are made of 100% stainless steel with high precision and workmanship as per the NEMA standards. They are very easy to dismantle and repair and has no priming and suction problems. Shakti submersible motors need no special maintenance and consume low electricity. It's robust structure and totally corrosion proof body ensures durability and reliability. They are not vulnerable to high voltage fluctuations and guarantee higher efficiency.